The on-premises and cloud editions of Skype for Business Server and the Cloud PBX are promising and less-expensive alternatives to traditional phone systems, but come in a complex array of options and require integration. The software has gained some promising features along with growing support for third-party software, hardware and services. In my review for Redmond Magazine, I look at what is involved in getting it setup and how it works with a sample video conference phone from Logitech here (shown above). The days of having separate, dedicated networks for video, voice, storage, and general data applications are behind us. In the past, many IT departments had separate groups to manage voice and data, with separate wiring and infrastructures. They even used different vocabularies. Many companies have been tempted by the notion that everything should be managed in one big happy converged infrastructure, with everything running through the same switches and wires. To read why that may not be such a great idea, see my story posted in ArsTechnica today. More and more companies are migrating to SIP trunking services. In fact, one-third of 300 enterprises surveyed by Webtorials have deployed SIP trunking, with an average cost savings of 33 percent. In this ebook for Fierce Enterprise Communications, I wrote articles talking about how you want to take the next steps from your voice over IP telephony and does SIP trunking really mean the end of the public switched phone network. You can register and download the ebook here (my work is on the last page). If you run a small business with people in different locations but don’t want your customers to know that, then consider the latest Virtual Office Pro v2 from 8×8.com. For $50 per user per month, you get a desk phone and a collection of software that formerly was only available to bigger businesses or for a lot more dough. 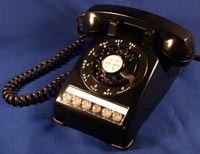 The phone is an IP phone, meaning that it connects to your Ethernet network and AC power. The downside is that it can take several minutes for the phone to boot up, because this is really a computer under the covers. You have a clear speaker phone with conferencing, do not disturb, and other buttons, along with a good sized LCD screen. There are dozens of features as you would suspect in the phone, but what impressed me is the associated software that you can use on your Mac or Windows PC (it is all Web based, by the way, so really you just need a browser) to make calls, send faxes, and set up your address book. You can record calls, do video chats, have Web meetings, and let your co-workers know if you are present or on a call or free. The screenshot at left shows you what this all looks like. There is another piece of software for your Web browser that is used to set up the phone and PBX features and line configurations. One downside is that the two programs have somewhat different user interfaces. The price includes unlimited local and long distance calling. The product is extremely easy to setup, within minutes really. If you are looking for a managed and hosted virtual PBX service that is inexpensive but feature-rich, then consider Virtual Office. If you use Vonage, and you want to be able to make calls from your PC instead of an ordinary telephone, you need what is called a “softphone” client, a piece of software that connects to your Vonage account and dials into the public phone network. You will also need to upgrade your Vonage account with a $10 a month optional softphone feature. The Windows softphone works reasonably well, but the Mac version is the pits. Over the past couple of months, I have tried a variety of other clients, finally settling on the is-phone Portable version. 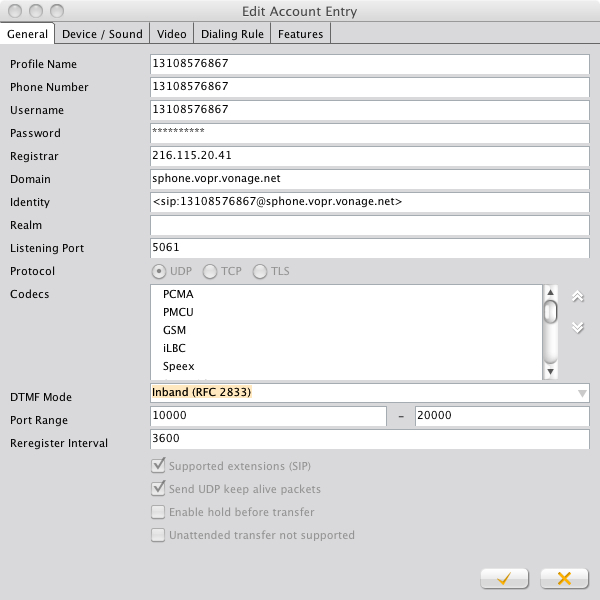 In theory, any SIP-phone should work, but you’ll need some combination of parameters and configuration help files are very sparse when it comes to setting things up with Vonage. Here is a screen grab that shows you how I did it. Note, you have to use the softphone password which is different than your Vonage account password, and there are some other special settings too. Voice over Internet Protocol (VoIP) telephony has the wonderful potential for cutting communications costs and delivering additional features. But making the switch isn’t a slam-dunk, and you could have potential problems that could end up costing you more money and time in the short-term as you try to adapt your infrastructure technology to handle voice traffic over what is essentially a data network. Here are five questions that you should answer in an article I wrote for CIOUpdate before deciding on the appropriate system for your enterprise. The biggest change for office telephony these days is the separating of incoming and outgoing calling plans and how we will use computers instead of an actual phone instrument. Maybe, if we all can get our softphones to work properly. I am not talking about some Claes Oldenburg sculpture, but the software running on your PC that enables you to make and receive calls. Softphones aren’t new – I recall writing about them in the early 1990s. Sadly, the quality of software development is still akin more to this era than the modern day. Voice over IP has made calling almost too cheap to meter, to recall a phrase from the 1950s (then it was about nuclear power, and we know what happened to that). That’s why many vendors currently offer unlimited monthly calling plans for their VOIP Service – Vonage ($25), Skype ($3), Google Voice (Free!). What is important to note is that these are all outgoing calling plans. Anyone can call you without any plan, you just need a phone number. Here is where things get tricky. I have been a happy customer of Vonage since around 2002 or so, using their phone service in three different states and for both home and work. The best part about using Vonage (or any other VOIP phone with a reasonable feature set) is that I can set up what happens when someone calls my number. Right now I have it ring both office and cell numbers simultaneously. This way I just have to give you one number to call me, and I can change cell numbers, or add a new location if I am working someplace for an extended period of time. The next best part about Vonage is that I can do all of this with just a couple of mouse clicks, without having to wait on hold for a Bell business office service rep to try to upsell me with services that I don’t want. I started thinking that perhaps I could eliminate my office phone line, and swap it for a Vonage softphone, and perhaps save some money in the process. That led me to searching for a softphone that will run on my Mac, connect to my Vonage account, and be reliable. Getting all three criteria has turned into A Project over the past week. The softphone costs $10 a month. A call to Vonage customer support set up things, and moved my office number over to the softphone account. I thought I was doing well. Alas, it wasn’t so easy. First of all, while Vonage has its softphone app on both Windows and Mac, the Mac version is a poor cousin and I couldn’t get it to work properly. After spending some time with Vonage tech support, I found out that there are “issues” with it running on Intel-based Macs (which are all recent Macs for the past several years). Vonage does have a softphone for the iPhone (and Blackberry too), but you need to set up another $25 a month subscription plan. It really is designed to call internationally from your phone and save you on these charges. So it really isn’t the softphone that I am looking for. 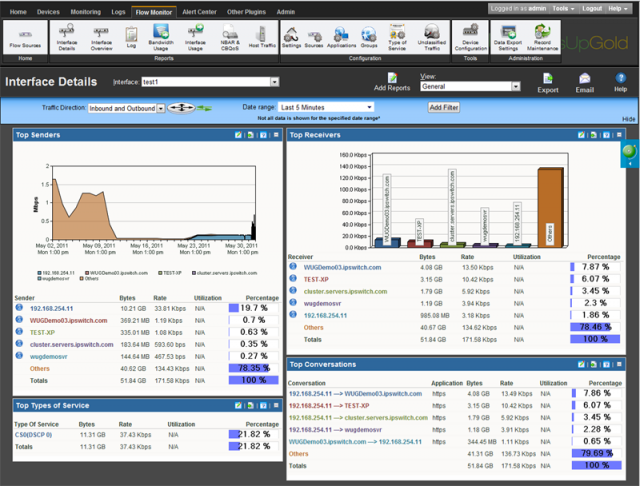 There are numerous softphone VOIP software companies, and some even have Mac clients. I have tried a few, and tried to get them configured for my Vonage account, but with no success. There is a lot of poor quality information online, and many of these are smaller companies with no tech support. What about Skype? Yes, Skype can be considered a softphone (and more, since it does video calls too). The monthly unlimited calling plan is $3, but you also need to purchase an online number for another $3 a month if you want people to call you. All of a sudden, my expected savings are evaporating. I like Skype and have used it for years, mostly for the IM features, and the voice quality is terrific. How about MagicJack? This is a pretty cool USB device that you can connect to both Macs and Windows PCs, and it will set up a softphone (or you can use a regular phone and wire it to the USB device directly). All for $40 for the first year, and $20 a year thereafter. My one problem with the Jack is that I keep getting people calling me who are calling wrong numbers. Not sure what that is all about. I do get the occasional Skype from someone I don’t recognize but not as often. And then there are Google Voice and eVoice, a new service from J2 Communications, the people that are behind eFax and jFax. These aren’t quite softphones, but do offer some interesting communications features to manage your telephony, and if I didn’t keep my Vonage number I would probably be more interested in them. Google has also purchased Gizmo Project, which had a really nice softphone that came with a built-in voice recorder, so who knows what will happen to that. Not having a traditional land-line phone can be an issue, I will admit. But it isn’t usually a problem. So as I transition to a phone-free desk, I think back to the days when I had one of the old Western Electric phones. Maybe I should buy one and just keep it on my desk for old time’s sake while I keep fooling around with my softphones and headsets. If you are interested, check out this site which has all sorts of great info on the golden era when people had to rent, not own their phones, and they still had dials instead of buttons. Getting your company ready for a telephone switch migration is never easy. It is especially difficult when you are trying to move toward a voice over Internet Protocol (VoIP) implementation. Before you choose a VoIP system, be sure to ask yourself these five essential questions that I describe in detail in my current story for Baseline magazine. I last looked at low-end VOIP PBX systems about two years ago when I reviewed the Linksys SPA9000 for Computerworld here. This is a small box that connects to your broadband Internet and allows you to hook up four IP telephones and use them as your main telephony system. A new company called Jazinga has recently begun their own version, the MGA120. It also sells for about $1000 but is much easier to setup and operate. The box comes with a customized version of the popular VOIP Asterisk operating system, and all the setup and configuration is Web-based. You plug in your phones, fire up your Web browser, and in about 15 minutes you have a complete working PBX and phone system. I liked the fact that you can have some of the more advanced features such as voicemail that is converted to email attachments, music on hold and auto attendants without having to get dirty with command-line syntax and Linux-like text editors. The box also includes a Wifi router too, just in case you don’t already have one. The menu screens are fairly straightforward and easy to navigate, and there are setup wizards that walk you through 95% of the configuration too. I didn’t like that the company doesn’t yet have much information on where to buy the box on their Web site, such as VOIP supply. You still need to purchase your VOIP service from another vendor. Hopefully they will work out their channel strategy soon and make it more of a one-stop shopping experience. I am attending the Varolii customer conference today. The company makes proactive unified communications tools that are used by call centers to manage their customer communications. Big companies like airlines, banks, Staples, UPS and others use their products. I’ve met some of the IT managers that have deployed this service and find it interesting to hear what their challenges are and how they are using the Varolii tools. It is all about being proactive, and reaching out to their customers before someone has a problem, or is behind on their payments, or is about to go to the airport and find out that their flight is delayed. The company makes 4 million outbound calls on behalf of its customers daily. That is a lot of calls. Their system works across voice, email, and text messages and an upgrade is in the works to manage customers’ preferences (for example, Gen Y folks like to get texts as their primary touchpoint). Staples for example, lets people order online and pickup from the closest store. Varolii does the automated notification to the customer that the order is available for pickup. Southwest Airlines even has a “proactive customer service manager”– Fred Taylor Jr. — who’s job it is to develop these outbound communications tools. During the early March snowstorms in the Northeast, they sent out about 19,000 messages in a matter of a few minutes to tell passengers about the delays. They are working on expanding their system for gate change announcements too. “We want to do a really good job with following up with our customers after they fly us to make sure they continue to fly with us,” said Taylor. One of the reasons Southwest picked Varolii was because their voice messages didn’t sound robotic and were therefore more likely to be listened to than competitors’ products.